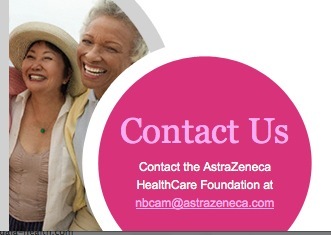 AstraZeneca, manufacturer of the blockbuster breast cancer drugs Arimidex and Tamoxifen, was formed through the merger of Astra AB and Zeneca Group (a pharmaceutical subsidiary of Imperial Chemical Industries) in 1999. 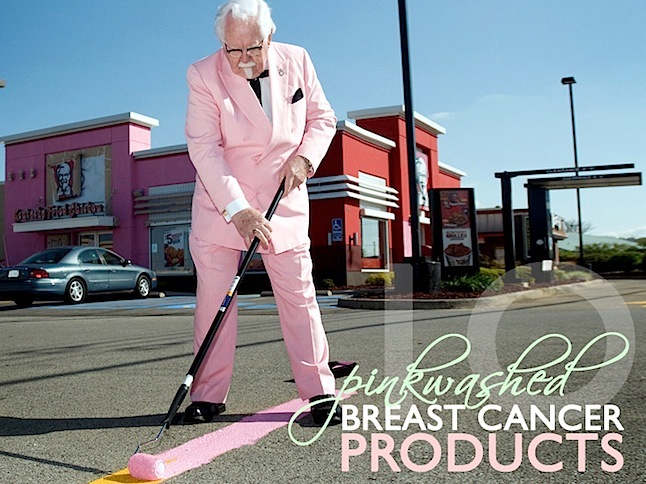 Imperial Chemical Industries, a multinational corporation responsible for producing carcinogenic petrochemical derivatives such as vinyl chloride and pesticides, founded National Breast Cancer Awareness Month in 1985, in partnership with the American Cancer Society, in order to promote the widespread adoption of x-ray mammography, whose horrors we have documented elsewhere. On first account, a pharmaceutical "cure" is as unlikely as it is oxymoronic. Drugs do not cure disease anymore than bullets cure war. Beneath modern medicine's showy display of diagnostic contraptions, heroic "life-saving" procedures, and an armory of exotic drugs of strange origin and power, it is always the body's ability to heal itself – beneath the pomp and circumstance – that is truly responsible for medicine's apparent successes. Too often, in spite of what medicine does to "treat" or "save" the body, it is the body which against invasive chemical and surgical medical interventions, silently treats and saves itself. If it were not for the body's truly miraculous self-healing abilities, and the ceaseless self-correction process that occurs each and every moment within each and every cell, our bodies would perish within a matter of minutes. The mystery is not in how our body succumbs to cancer; rather the mystery is in how, after years and even decades of chemical exposure and nutrient deprivation our bodies prevail against cancer for so long. The primary causes of breast cancer: nutritional deficiencies, exposure to environmental toxicity, inflammation, estrogen dominance and the resultant breakdown in genetic integrity and immune surveillance, are entirely overlooked by this fixation on drug therapy and its would-be "magic bullets." When it comes to the breast cancer industry's emphasis on equating "prevention" with "early detection" through x-ray mammography, nowhere is the inherently pathological ideology of allopathic medicine more clearly evident. Not only is the very ionizing radiation used to discern pathological lesions in breast tissue one of the very risk factors for the development of breast cancer, but the identification of the word "prevention" with "early detection," is a disingenuous way of saying that all we can do to prevent breast cancer is to detect its inevitable presence sooner than would be possible without this technology. If women succumb to the idea of prevention as doing nothing but waiting for the detection of the disease, many will find a similarly deranged logic reemerge later when the self-fulfilling prophecy of prevention-through-doing-nothing is fulfilled and "treatment" is now required. "Treatment," when not strictly surgical, involves the use of very powerful chemicals and high doses of ionizing radiation which "poison" the cancer cells. The obvious problem with this approach is that the application of either form of death energy is not suitably selective, and in the long run, many women die sooner from the side effects of toximolecular "therapy" than from the cancer itself. Why is the obvious question never asked: if exposure to the genotoxic and immune system disabling effects of chemicals and radiation is causative in breast cancer, then why is blasting the body with more poisonous chemicals and radiation considered sound treatment? The answer to this question has much more to do with ignorance than it does an intentional desire to do harm. But the results are the same: unnecessary pain, suffering and death. Faced with a situation where medieval notions of prevention and treatment of breast cancer are the norm, it is no wonder that when polled over 40% of women believe they will contract breast cancer sometime in their life – well over three times their actual risk. After all, have any of them been given a sense that there is something they can do to actually prevent their disease other than "watchful waiting"? "It is unclear what the exact relationship is between eating fruits and vegetables and breast cancer risk...little, if any link was found between the two in a pooled analysis that combined data from eight large studies." Have we really come to the point where the commonsense consumption of fruits and vegetables in the prevention of disease can so matter-of-factly be called into question? Do we really need randomized, double-blind and placebo controlled clinical trials to prove beyond a shadow of a doubt that our bodies can benefit from the phytonutrients and antioxidants in fruits and vegetables in the prevention of cancer? Your search – carcinogen – did not match any documents. No pages were found containing "carcinogen". On Susan G. Komen's website the term only emerges twice, and both in the context of denying the likliehood of there being a connection between smoking and breast cancer. If you can remove the reality of carcinogenicity by erasing from the mind's of would-be cancer sufferers the word carcinogen, and thereby conceal the link between environmental and dietary exposures of a multitude of toxins, then the obvious "cure" these massive organizations are vacuuming in billions of dollars of donations every year to find, namely, the removal of carcinogens and detoxification of the system, will never be discovered. Examples like these make it increasingly apparent that orthodox medicine, and the world view it represents, is approaching a theoretical end-time perhaps most accurately described as Pharmageddon. Within the horizon of this perspective vitamins are considered toxic, fruits and vegetables simply a source of caloric content (a poor one, at that), and cancer-causing drugs are understood as the only legitimate and for that matter, legal, way to combat cancer. Are we really at the tipping point, or is there still hope? Fortunately there are thousands of scientific studies extant today on the therapeutic value of foods, herbs and spices in breast health, many of which can be found on the government's own biomedical database known as MEDLINE. Decades of research have confirmed the veracity of the Hippocratic phrase: "Let food be thy medicine," and until a prescription is required to obtain and consume organic food, we can still draw from a vast cornucopia of natural substances whose safety and efficacy that the conventional pharmacopeia to shame. Listed below are links to blogs that reference this entry: The Dark Side of Breast Cancer Awareness Month. This page contains a single entry by Toni published on October 7, 2013 5:18 PM. Drinking Cow's Milk During Breastfeeding Increases Risk of Baby's Allergies was the previous entry in this blog. Pharmaceutical firms paid to attend meetings of panel that advises FDA is the next entry in this blog.